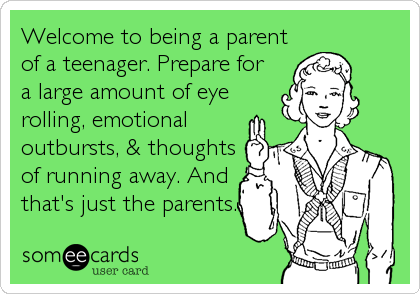 Welcome to Being a Parent of a Teenager! Welcome to being a parent of a teenager! It can be a difficult time so don’t forget to laugh once in awhile:) Hope everyone has a great week! read some more fun someecards here!